The Monday morning bulletin: A reader asked how to tame her beastly Spirea. You are not alone. You have a lot of company including me. We find a plant that we love and think we have just the spot for it. What starts as a 1-gallon stick in a pot ends up turning into a monster. A word to the wise – always inquire at the nursery about your plant’s growth habits and spacing requirements. Trying to tame a plant that needs elbow room may be an indicator of improper spacing. 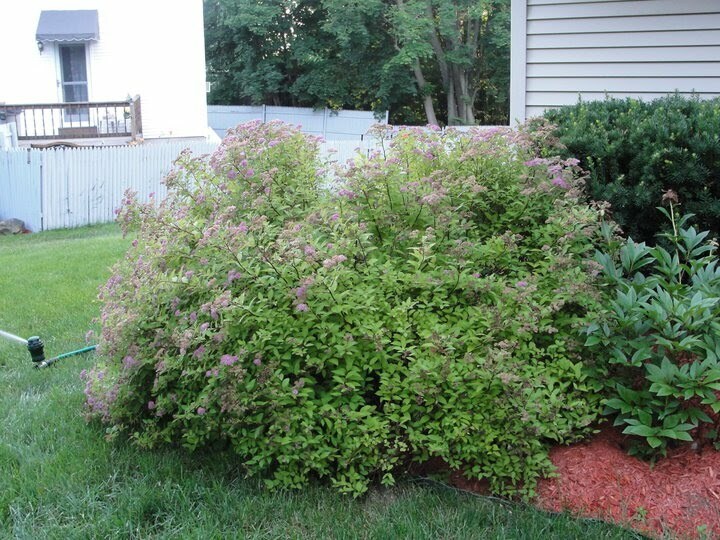 In Nancy’s case, I would recommend she relocate her Spirea where it has more room to expand and mature. Pruning the plant back is not the answer. With that said, there are some variations on pruning techniques. It is best to find out the specific variety and research whether it flowers off last year’s wood or on new growth. Spireas offer hardiness and versatility, which make this shrub desirable for your garden composition. They vary in size from large old-fashion standard varieties like ‘Bridal Wreath’ to dwarf/alpine types like Spirea japonica 'Alpina'. 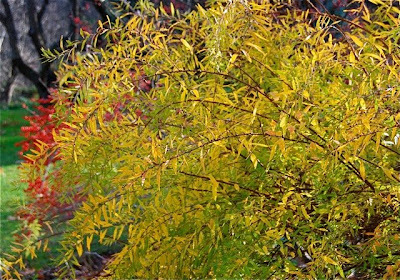 Flower, leaf color and spectacular fall foliage is a reason that you should not overlook the Spireas. If you have full sun and average soil, you can have great luck with this shrub. Spireas can thrive in exposed locations. They are ideal for coastal environments. A personal favorite is Spiraea thunbergii ‘Ogon’. This is a big boy with white showy flowers and lacey yellow foliage so plant it wisely. The inspirational thought for the day is by Lyman Abbott. 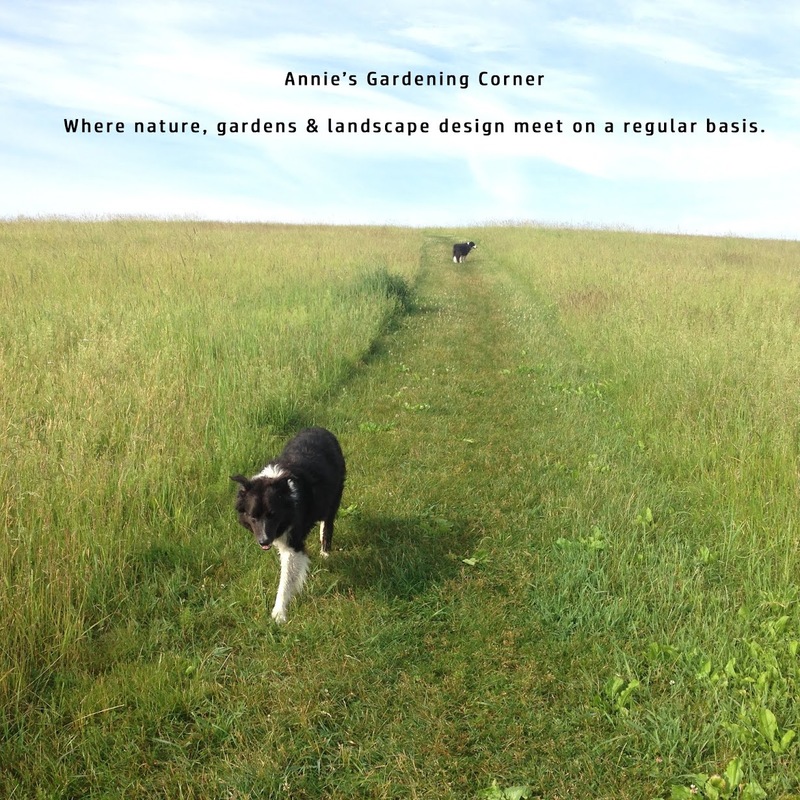 “Patience is passion tamed.” Gardening requires both of these virtues. If you don’t have the passion to garden, you’ll never make it to the patience part: one to inspire, the other to persevere. Nancy, hope this helps. I recommend not taming but transplanting. Top image sent in by Nancy B.
I have a butterfly bush that loves its location behind my fireplace so much that it will soon block the windows on either side. I will have it dug up this summer but I advise other gardeners not to wait as long as I have. Dig up anything that seems to be growing ridiculously fast before it takes a backhoe to remove it.